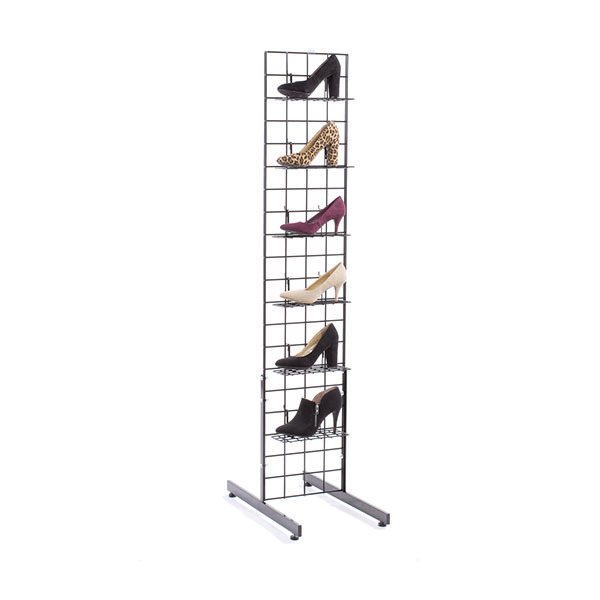 Capture your customer`s attention with this space saving shoe display. 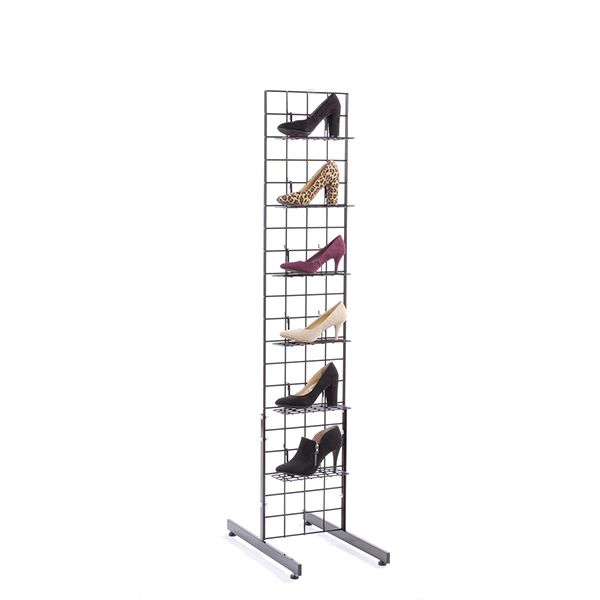 Includes a grid panel, legs, and shelves. Display includes six acrylic shelves and additional shelves can be purchased to merchandise the opposite side as well.